A Team of experts like no other! 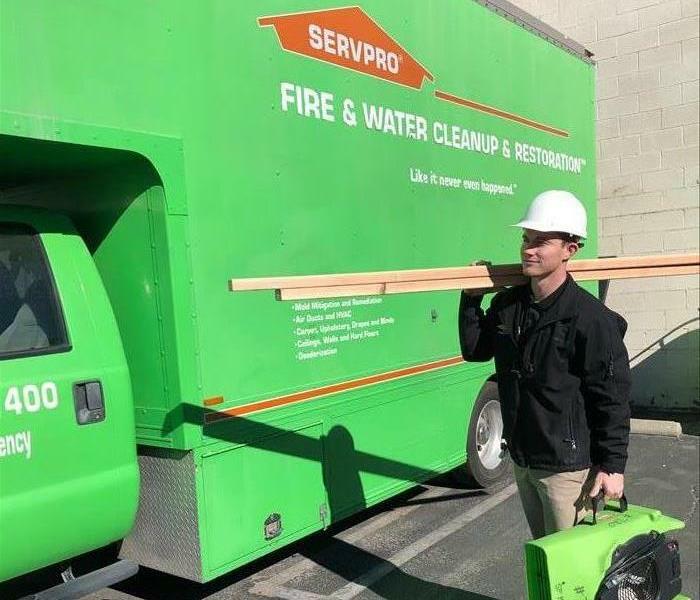 SERVPRO of Crescenta Valley/East Glendale is a team that suits up and shows up when your disaster hits to consult and provide expertise on all all things, water, fire and mold. When you don't know where to turn, SERVPRO of Crescenta Valley/East Glendale provides a host of services in guiding you through a disaster in your home or business from hands-on labor, to navigating the process with your insurance to finding quality vendors to assist with different parts of the process. When you need true heroes, contact our team at SERVPRO of Crescenta Valley/East Glendale! At SERVPRO of Crescenta Valley/East Glendale, we Love Taking Care of our Clients. At SERVPRO of Crescenta Valley/East Glendale, we are in the business of developing partnerships with our clients, tailoring our care to their specific needs. Whether it’s daily updates or particular photographs requested, SERVPRO of Crescenta Valley/East Glendale is here to make your day less stressful. We try our best to serve our customers with a great attitude and high quality work. We even celebrate the holidays with our longstanding customers who have become our good friends over the years! SERVPRO of Crescenta Valley/East Glendale keeps your business open! 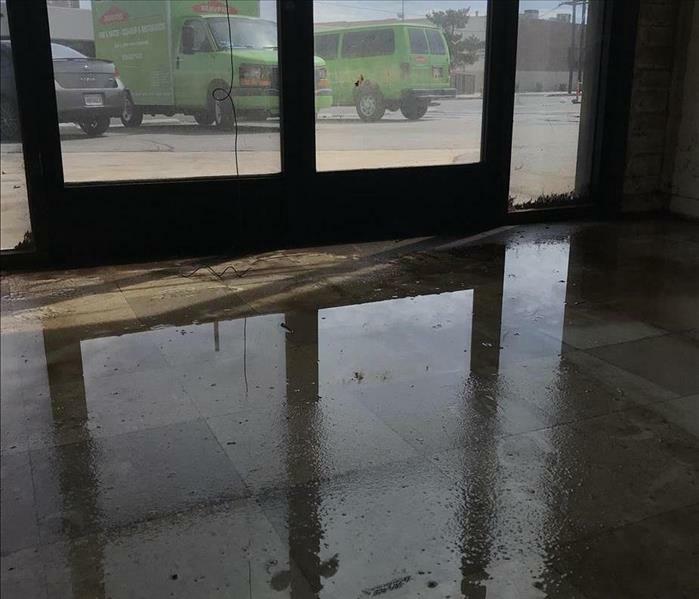 SERVPRO of Crescenta Valley/East Glendale works with businesses to service water damages after-hours so they may stay open during business hours. 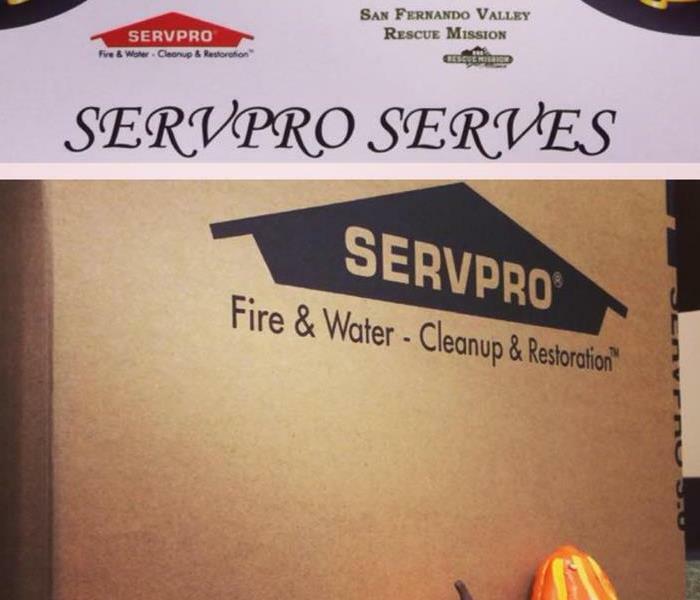 SERVPRO of Crescenta Valley/East Glendale are the restoration experts that tailor services to suit your business. SERVPRO of Crescenta Valley/East Glendale is your local mold expert! Trained professionals in the clean up of mold, SERVPRO of Crescenta Valley/East Glendale treats and cleans the infected areas and helps your property stay safe and toxin free. Contact your local mold experts today! At SERVPRO of Crescenta Valley/East Glendale, our training standards have been widely recognized. 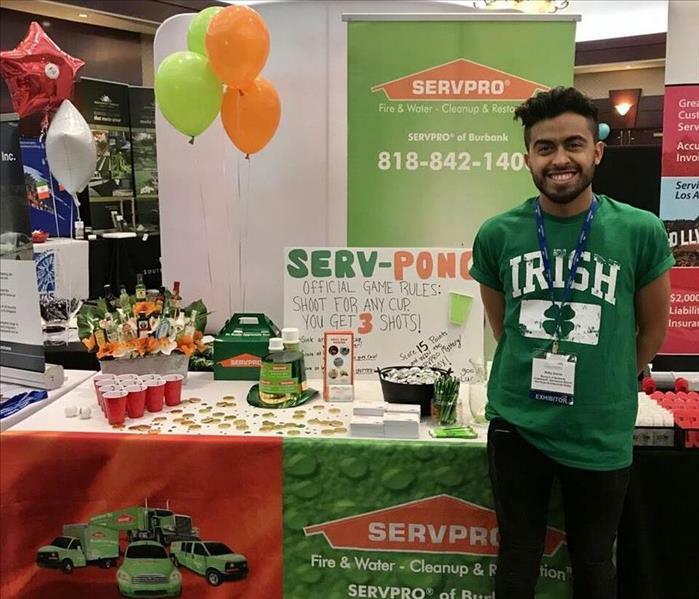 The owners of SERVPRO of Crescenta Valley/East Glendale are also the designated trainers for over a dozen North LA County and San Gabriel Valley franchises and in 2012 were named the SERVPRO Trainer of the year. Our franchise owners extend their knowledge and years of experience in the restoration industry to these franchises in an effort to ensure consistent excellent service for all SERVPRO customers across Southern California. 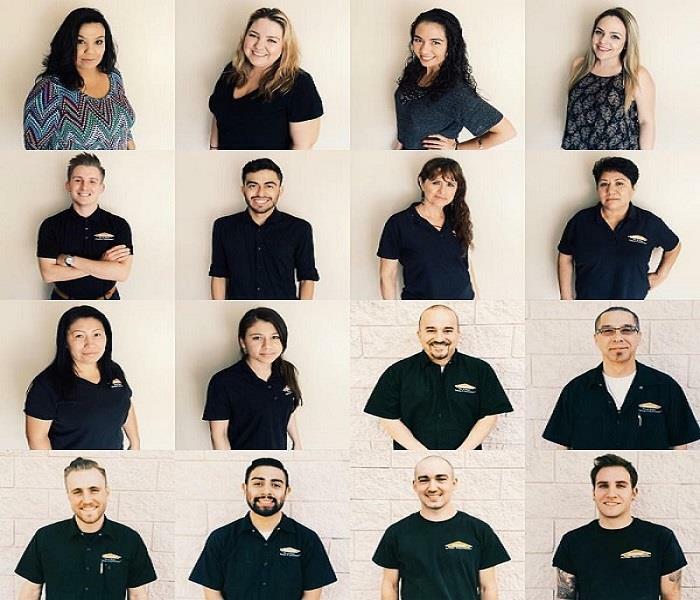 Our team here at SERVPRO of Crescenta Valley/East Glendale! Here at SERVPRO of Creascenta Valley/East Glendale, our rockstar team puts in endless hours to make sure your disaster looks “Like it never happened." Our crews are actively preparing, training and planning for any disaster that may strike next. 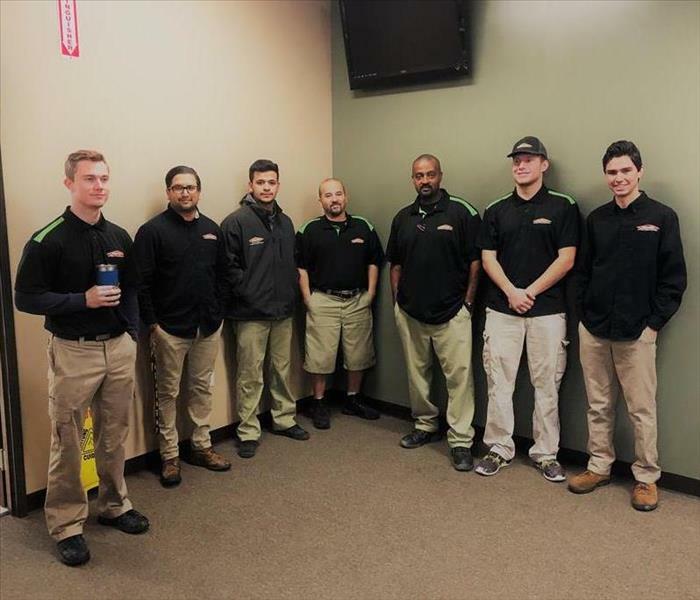 SERVPRO of Crescenta Valley/East Glendale is not only an IICRC-WRT certified firm but each of our crew chiefs are certified and ready to go 24 hours a day and 7 days a week. Call us here at (818) 842-1400. Homeowners Associations choose SERVPRO of Crescenta Valley/East Glendale! Relationships at SERVPRO of Crescenta Valley/East Glendale are very important to us. As demonstrated through our 20+ year membership and involvement in CAI-GLAC (Community Association Institute- Greater Los Angeles Chapter) where we have become well versed in working for HOA’s and CID’s and the intricacies and challenges of this specialized market. Through this relationship and others like it, SERVPRO of Crescenta Valley/East Glendale has gained and continues to build upon knowledge that helps us surpass our competitors in the HOA marketplace. Why trust SERVPRO with any size job? At SERVPRO of Crescenta Valley/East Glendale, we can accommodate the smallest of minor damages to large loss disasters. With more than 14,000 square/feet of warehouse space, we are capable of maintaining large inventories of varying industrial strength drying equipment and many service vehicles on-hand; ready to use at a moments notice! We are also backed by the SERVPRO Storm Recovery Team, who specializes in restoration following major community and regional disasters. No matter what the problem, when damages to your home or business seem irreparable, you can always rely on SERVPRO of Crescenta Valley/East Glendale to be there when you need us most! Why SERVPRO for your Disaster? SERVPRO of Crescenta Valley/East Glendale is constantly on top of the equipment game. We are always looking for state of the art and up-to-date equipment to accurately accommodate any disaster from water, fire, mold and more. 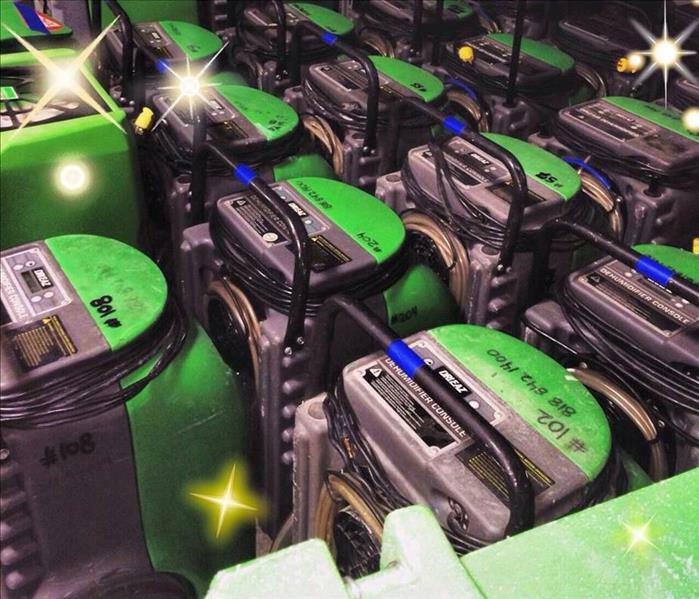 In this photo you can see our endless amount of centrifugal air movers. These centrifugal air movers are only one part of our vast inventory of equipment that can help solve any problem you or your business may encounter. 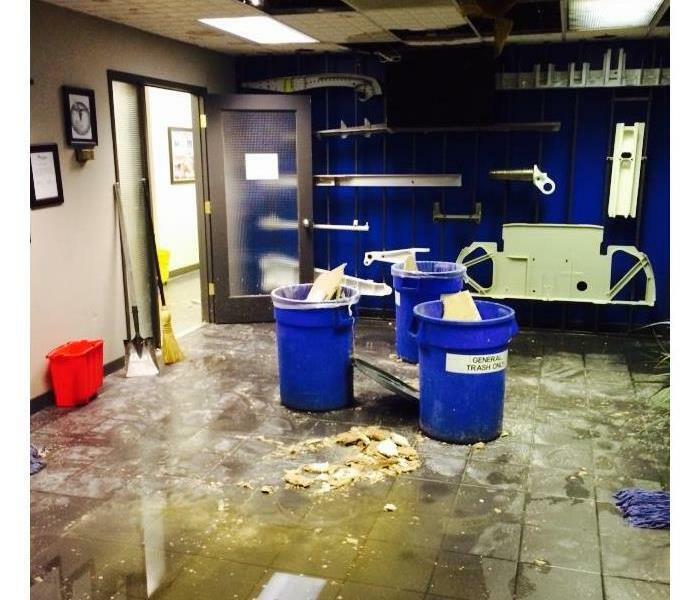 When there is water damage to your business, time is money! This business owner in Van Nuys, CA opened his warehouse to find standing water throughout 13 rooms when a supply line burst. He immediately called SERVPRO of Crescenta Valley/East Glendale out to help him with the excess water which we began extracting. Once the standing water was removed, we set up equipment to begin drying the materials. The business owner was up and running in no time and thrilled to have this disaster a thing of the past! When a homeowner in Sherman Oaks, CA has a smoldering fire, the chemical phenomenon known as Soot Tags aka “Smoke Webs” occurs. Soot Tags result from the ionization process of burning synthetic materials like plastics, rubbers and polymers, creates charged smoke particles which can attract towards certain surfaces, and attract to each other creating chains, and ultimately web-like formations. They form under certain conditions called wet smoke, which involves low heat, or smoldering type environments. Since this fire was smoldering throughout the night, it makes sense that the room was filled with Soot Tags in the morning. Luckily, the homeowner called SERVPRO of Crescenta Valley/East Glendale and we were able to clean and disinfect the entire structure to its original state. After wildfires, rain can produce mudslides in heavily sloped or hilly areas. Mudslides cause damage to flooring, walls and even the very structure of building. 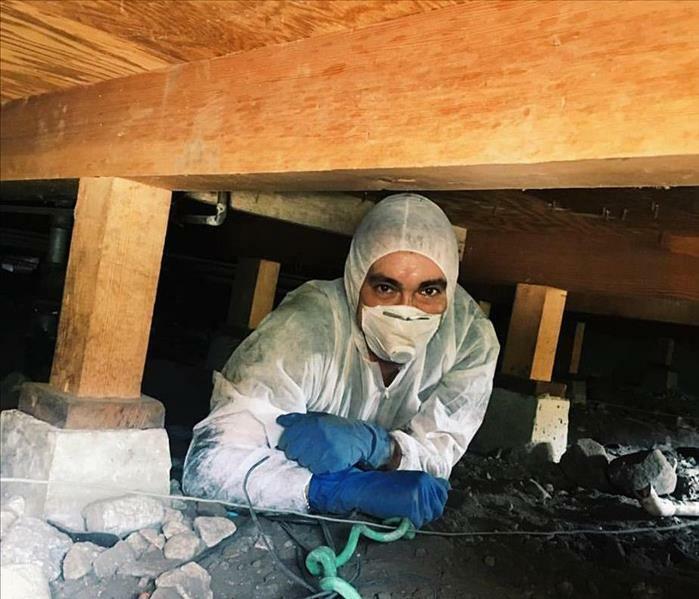 A Woodland Hills, CA family called SERVPRO of Crescenta Valley/East Glendale to assess damage caused by recent storms to their garage and its’ contents. Rains caused mud to spill into their garage and damaged walls, floors and nearby contents. SERVPRO of Crescenta Valley/East Glendale extracted the mud from all floors and walls and dried the affected areas with high powered fans and dehumidifiers. Once dry, the area was carefully and cleaned and disinfected and this family was astounded how this disaster was cleaned up so quickly! SERVPRO of Crescenta Valley/East Glendale was hired to address this Storm Damage. We extracted as much water as possible using high powered vacuums. Next, drying fans were put in place to dry the materials to avoid mold-breeding conditions and begin circulating fresh air. SERVPRO of Crescenta Valley/East Glendale used dehumidifiers to dry out the air and ground to avoid the growth of mold and mildew. After drying all materials, the carpet padding was removed and replaced and the carpet was intact saving the homeowners thousands. The carpeting was cleaned and sanitized, along with walls and other areas affected by storm water. Finally, SERVPRO of Crescenta Valley/East Glendale utilized moisture reading equipment to ensure that all levels have returned to normal and the home was returned to its' original condition. 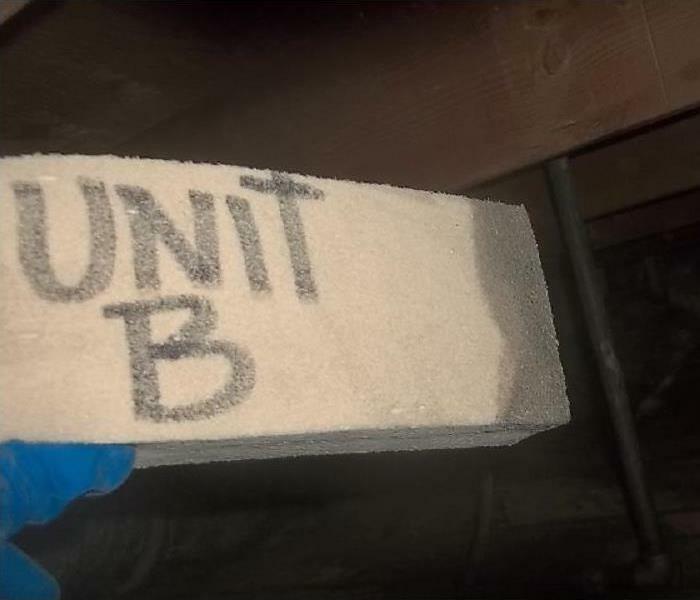 Underestimating the length or impact of incoming rain storms, a Los Angeles, CA family experienced unexpected water intrusions on a home under construction that caused massive damages. Coming in through a protective plastic, the intense downpour spread water throughout various areas of the home causing damage to new flooring and appliances. 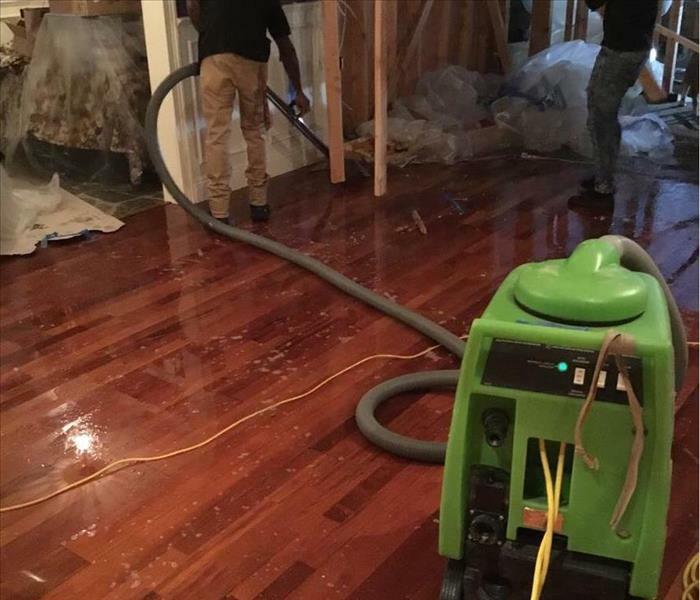 By calling SERVPRO of Crescenta Valley/East Glendale this family was able to save some of its' new investment as our team quickly extracted water and began drying the materials that were salvageable. When water damage situations are left unaddressed, affected porous materials will rapidly start to deteriorate. This picture shows what will happen when soaked carpet is left unaddressed. At this point, the carpet delaminates, causing it to become unsalvageable because it was not mitigated properly. Don't let this happen to you! Call SERVPRO of Crescenta Valley / East Glendale the next time you experience a water damage and we'll help save as much of your property as possible! The water heater closet is one of the most common places in the home to have water damage happen. 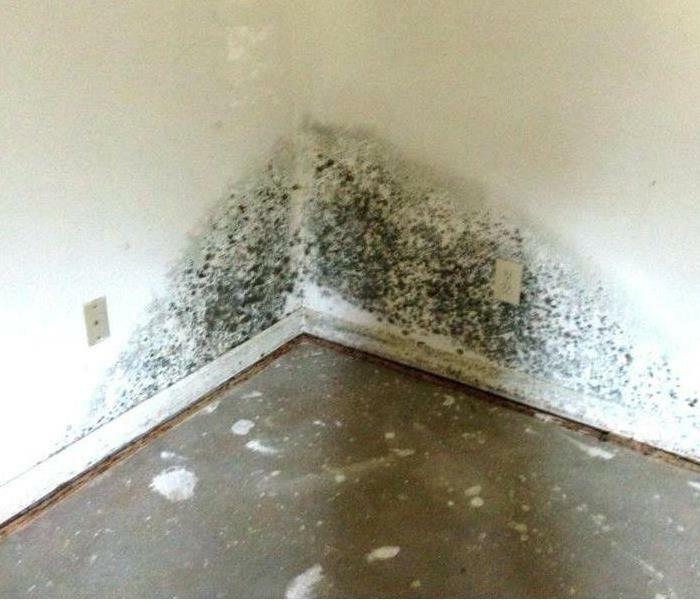 Unless properly dried out, mold growth can start to form. Make sure you call in the professional the first time to avoid unnecessary secondary damages in the future. Each Storm Damage scenario poses unique complexities and challenges. However, we approach each job with an open mindset and ready to apply the industry's best in structural drying techniques to get your house back to preloss conditions as quickly and professionally as possible. Water staining is a very common form of storm damage. Discoloration of the ceiling's building material will begin to show signs that unwanted moisture is present. Pay attention for these marks because when they do begin to form, those that address it proactively are the ones who prevent further damage from occurring. When you see mold, don't wait to deal with it! Waiting for mold damage to occur can exponentially increase overall job costs. Usually visible mold growth (like the one pictured here) is a results of a long-term water damage scenario where normal maintenance was not kept up. There's nothing convenient about experiencing a house fire. Although we may see more fire damage situations than the average person does, it doesn't change the fact that each house fire puts life on hold for families. Trust the company to know exactly what needs to be done to make it "Like it never even happened." We use Chemical (aka "Chem") Sponges to determine the severity of soot/ash damage following a fire. 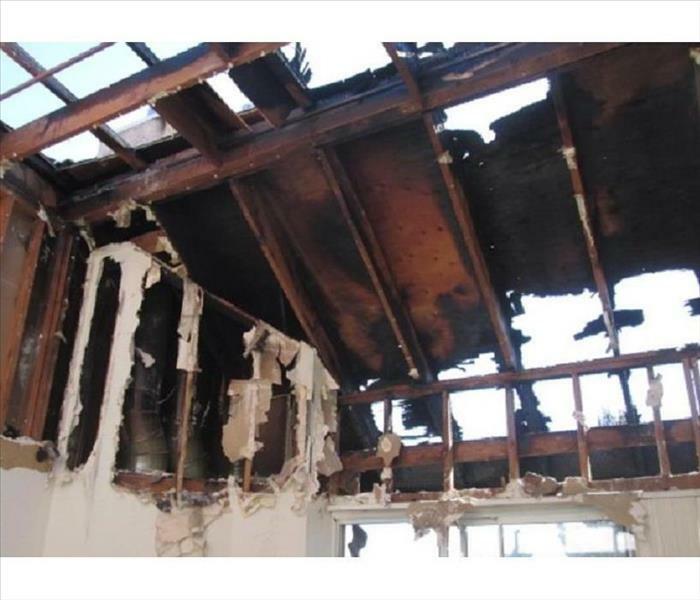 Because each Fire Damage job is a little different from the previous one, these are used only with dry smoke/soot residue and are very helpful in knowing proper restoration protocols should be followed. We know that 50% of businesses that suffer a major catastrophic loss, such as fire or water damage are never able to reopen. Out of those that re-open, the overwhelming majority have a plan in place. Make sure SERVPRO of Crescenta Valley / East Glendale is at the top of the list to call in the event of your next emergency. Water Extraction is the first step of the Mitigation process for most water damage scenarios. Our commercial extractors are equipped with industrial strength Extraction Wands like the one in this picture. 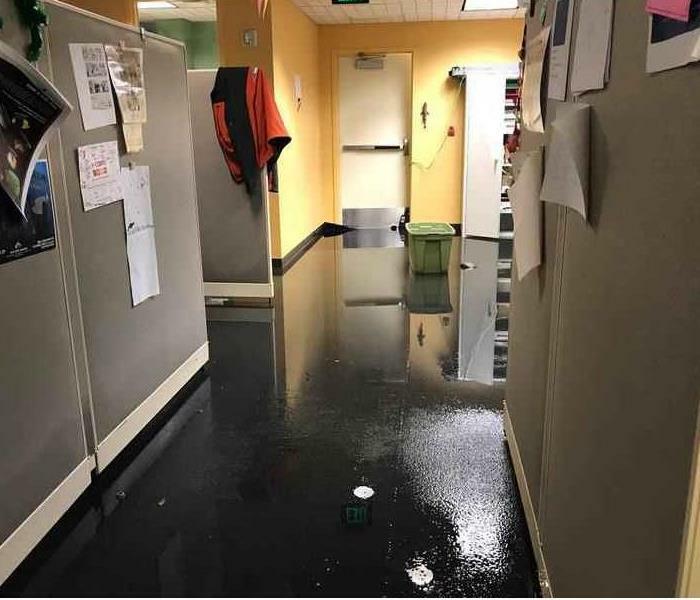 Once SERVPRO is called to the scene, we make water damage "Like it never even happened." Here at SERVPRO our goal is to always attempt to restore first, and if necessary, replace building materials once decided salvageable. In certain situations however, we use our state-of-the-art drying equipment like the Injectidry System to target hard to dry areas such as wall cavities behind drywall. Instead of cutting costly amounts of affected building material, we insert small hoses into the wall and 'inject' air into the wall cavity. In some cases, this option may prove to be the cost-effective alternative to demolition. Flash flooding can pose serious issues for both home and business owners alike. Not only is storm damage a tragic event, it can disrupt business operations, costing potentially more than the damage itself. Call us when help is needed most and we'll save your home or business from incurring any further damage. It's usually not until a day or two after a rainstorm, that storm damage is discovered. 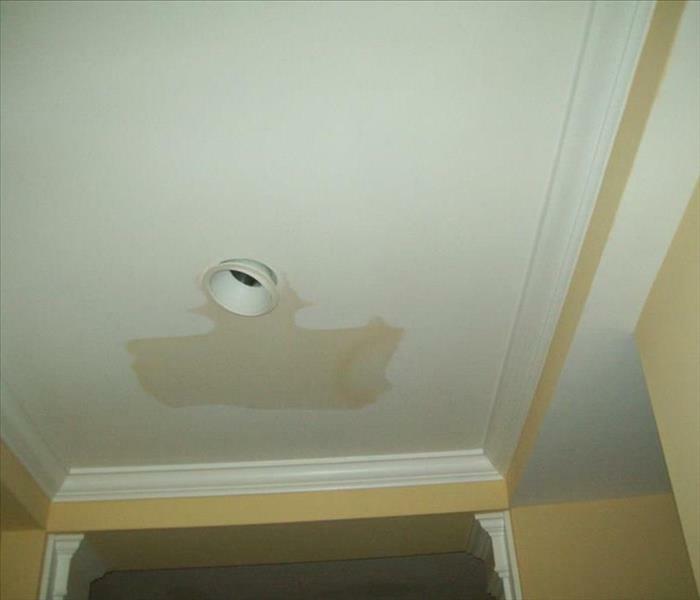 This pictures shows what can happen when rain water penetrates a rooftop and flows through the recessed lighting of a home. Be sure to monitor all parts of the home during a flash flood to ensure you stay safe and dry. When the worst happens, we are here for you. A busted sewer line can pumped thousands of gallons of raw sewage into a commercial building in a matter of minutes. When the worst happens, trust SERVPRO to make it "Like it never even happened." When storm water passes through a damaged rooftop, insulation and into the living quarters, we will do everything possible to mitigate further damage. Sometimes however removal is necessary, and we will communicate the area needing removal to both customers we serve and insurance professionals we work with by marking it with tape. This ensures all parties stay on the same page during the drying process. Our crews are ready to roll! Rainfall can spell disaster for those who aren't prepared to address such an increased level of water around their property. With emergency crews on call all hours of the day, we sincerely hope you never experience storm damage, but we are here to help in case you do! Mold can pose many health concerns, including respiratory issues. That's why we have our technicians use a variety of Personal Protective Equipment (PPE) to safeguard them during the mold remediation process. This full-face respirator with HEPA filtration is one of many steps we take to ensure safety is of top priority! Moldy subfloors can be such a headache! Often times when we have to remove affected floors due to water damages, we find scenarios like this that show pre-existing damage that wasn't properly assessed. What started out as a simple water damage restoration job quickly turns into a much needed mold remediation job. 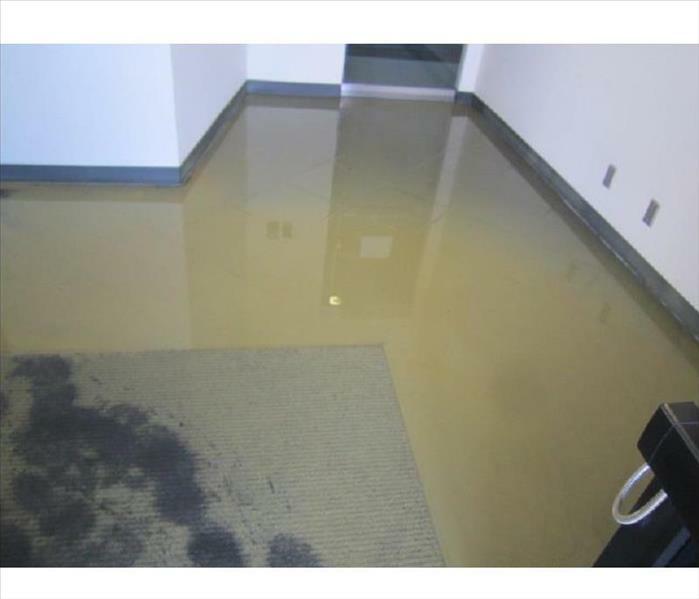 Be sure to quickly mitigate any water damage situation by calling us today! Nobody enjoys an unpleasant smell, especially when it's due to a sewage backup or fire damage. Our air scrubbers not only address these concerns, but they also fight against the spread of mold spores during the remediation process. Using special High Efficiency Particulate Air Filtration (HEPA) filters, our air scrubbers prevent further damage and cause for concern. Mold loves to grow on organic surfaces where water can be found. In this case, mold had been feasting for quite some time underneath this parquet flooring. Sometimes it’s the water you do not see that causes the most damage. Sometimes your most valuable contents cannot be left at home during the fire restoration process. That's why we offer temporary relocation and pack out services that gives you the peace of mind that we are caring for you every step of the way. Our valuable team members (Patty in the picture) organize and categorize our warehouse to keep safe your valuables until they are ready to be returned to your home. 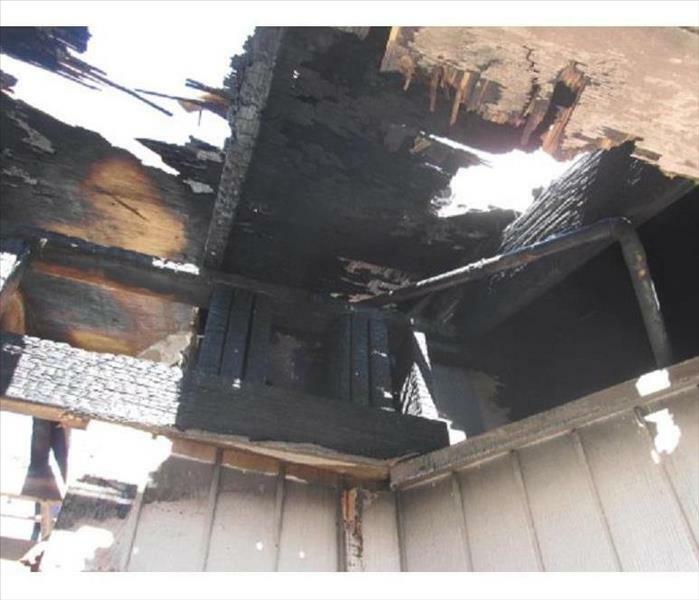 Fire, smoke and soot damages in a structure can create unpleasant and permanent problems if not properly addressed. Unless fast, professional action is taken, these residues and deposits can cause permanent damage to contents and result in periodically resurfacing odors. That’s why our Titans combat malodors at the molecular level, leaving a neutralized environment where soot and smoke damage can’t stand a chance. Fires can be extremely disruptive for business owners, their tenants and even their customers. For this reason, we offer 24-hour emergency response, and will have trained technicians on-site within 4 hours to begin emergency mitigation services. 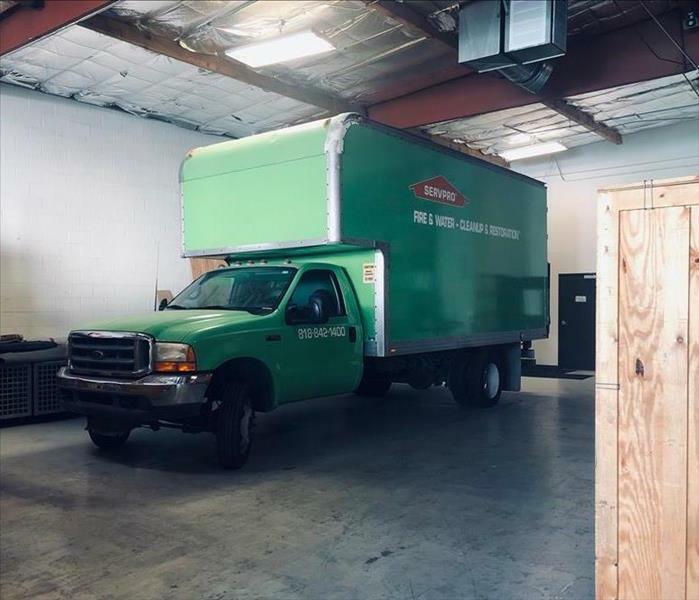 By responding quickly, we at SERVPRO of Crescenta Valley / East Glendale can help get your facility back into operation quickly, saving you time, money and stress. A small fire can completely derail a homeowner’s life, causing unfortunate stress and worry. Your home contains many of your most valuable possessions. That’s why we understand the trauma during this challenging time. 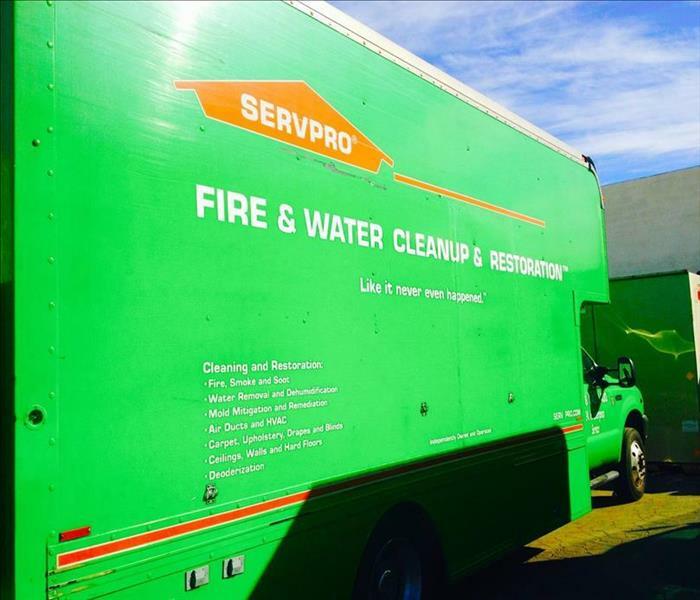 When fire damage takes control of your life, nobody helps you take it back like SERVPRO. When speed is of the essence in quickly drying out a water damaged commercial property, call in the experts who know how to make it "Like it never even happened." Using our advanced drying methods, this picture communicates how setting up targeted, effective containment can drastically reduce drying time, saving our customers both valuable time and money. 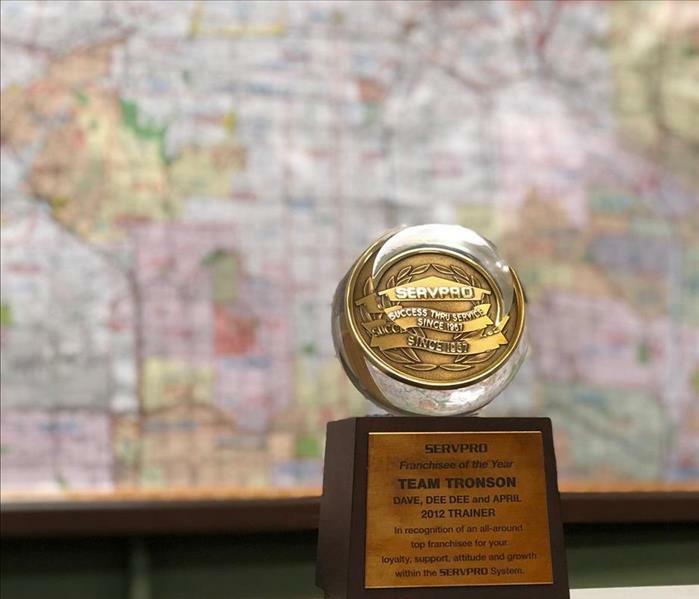 SERVPRO is a national brand trusted by millions, ready to heed the call of duty 24/7. There is no such thing as a job too big and that's why this Large Loss unit is ready for whatever happens. When disaster strikes at a commercial property, the last thing you want as a real estate professional is the disruption of business continuity. That's why we work with facility personnel to understand every business' specific needs and offer creative solutions, such as containment doors to reduce as much disruption as possible. We have some of the leading industry standard equipment to help us assess each water damage situation at your home or business. The non-invasive moisture meter (black) helps identify moisture in non porous materials such as plaster or hardwood. The invasive moisture meter (yellow) beeps at the presence of moisture found in materials such as carpet and other porous materials. At SERVPRO Crescenta Valley / East Glendale we address all sorts of water intrusion situations. Although most water damages leak into the home, sometimes a broken pipe in the crawl space can be a greater cause for concern. Our highly-trained technicians know what safety measure to take and how to maneuver in these tricky situations. Industrial strength air movers are needed to quickly remove absorbed moisture from ceiling, walls and floors of your home or business. Proper drying helps to prevent swelling and warping of floors, walls, and furniture. 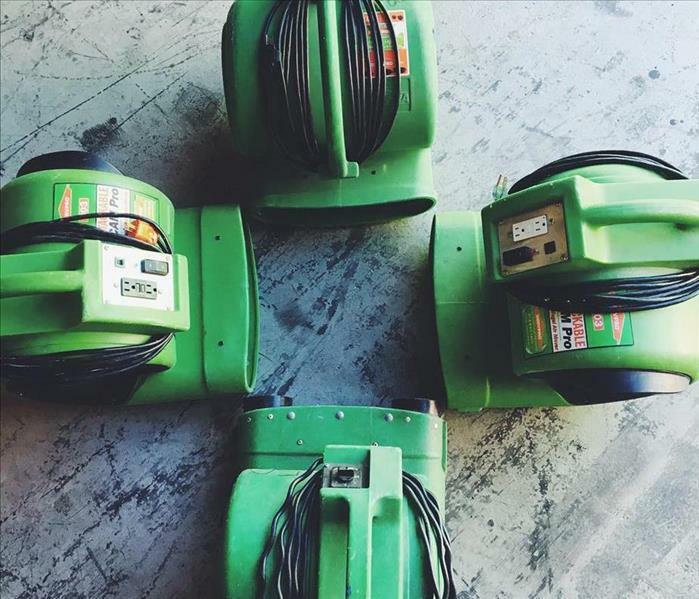 With access to thousands of air movers such like the ones you see in this picture, there is no such thing as a job too big for SERVPRO of Crescenta Valley / East Glendale. 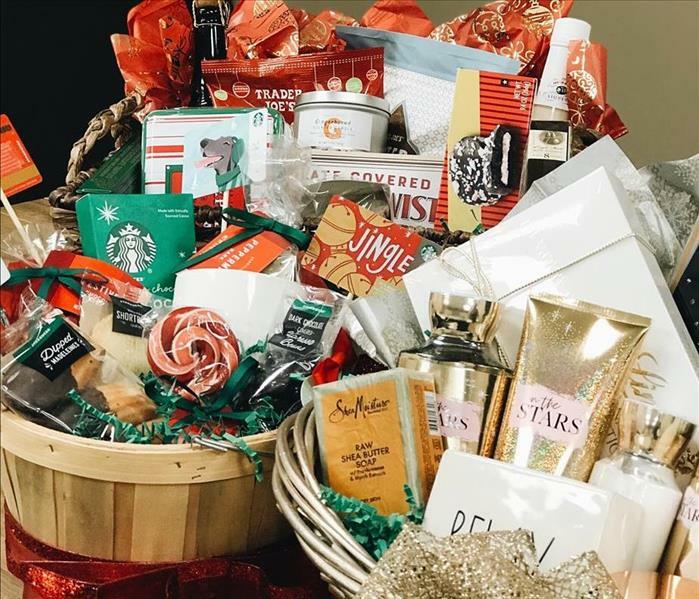 We at SERVPRO of Crescenta Valley / East Glendale are continually looking for ways to give back to our community in the greater Los Angeles area. Last year, we kicked off our 1st annual SERVPRO Serves donations drive and directed all proceeds to the San Fernando Valley Rescue Mission. We had such a great response of donations given that when it came time to deliver them to the mission, we were barely able to fit everything in our fleet vehicle! We will definitely be doing this again next year. We have expanded our fleet so that we can respond more quickly to your restoration emergency. We have crews available 24 hours a day, 7 days a week and 365 day a year to service all of your fire, water and mold damage cleanup needs. Here at SERVPRO of Crescenta Valley / East Glendale, our company’s greatest asset is the team that works tirelessly behind the scenes. Whether you see us on the jobsite or not, we are all motivated to care for our customers when they experience some of life’s most unfortunate events. And after almost 30 years of striving to make it “Like it never even happened,” we are still committed to growing a culture of family, professionalism and teamwork. After the bulk of the water has been extracted, SERVPRO of Crescenta Valley / East Glendale uses specialized equipment to target the water that’s harder to access. We use less intrusive, scientific drying methods to draw the remaining water and moisture from the environment. 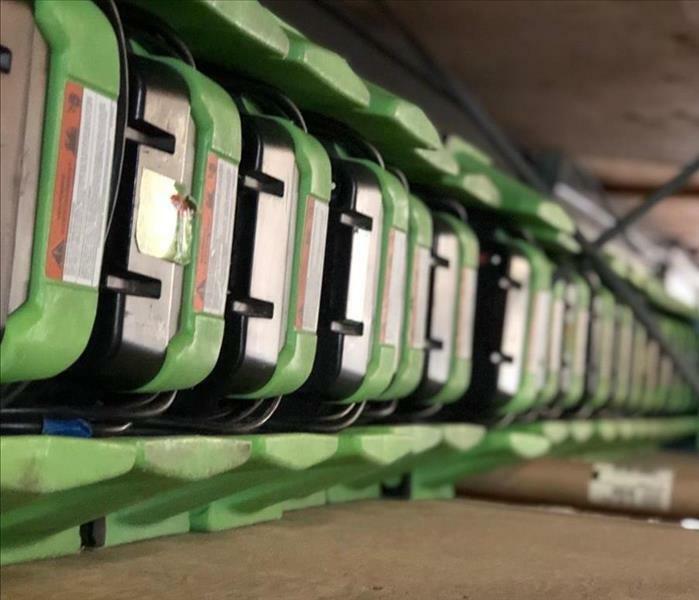 The dehumidifiers such as the ones you see in this picture represent just one of the many ways we utilize advancements in technology to help mitigate and save our customers money.